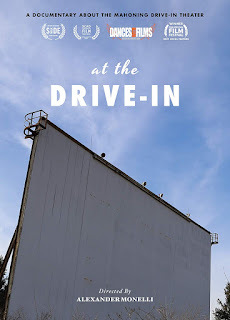 Anyone who’s ever actually been to a drive-in knows it isn't the optimum way to see a movie. However, it’s an experience that home video – which more-or-less killed the business – cannot possibly duplicate. As someone with fond memories of piling into a car with friends for double features under the stars, I sure miss the old Foster Road Drive-In, which was just a twenty-minute drive away. There’s now an industrial park where its screen once stood. 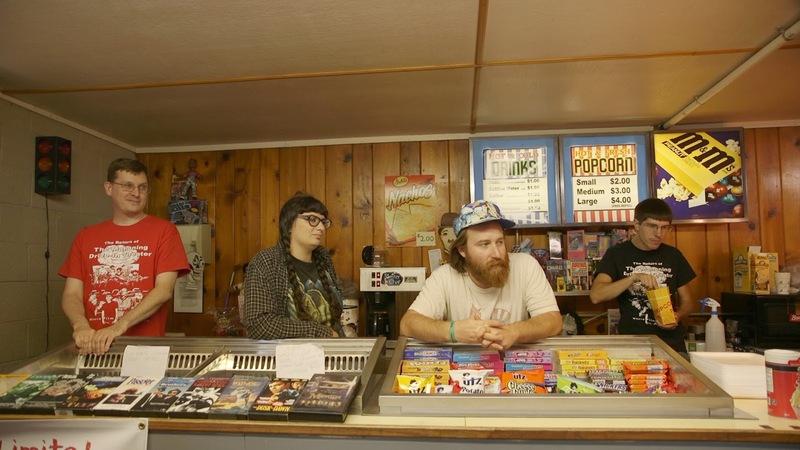 The disarmingly bittersweet documentary, At the Drive-In, chronicles the theater’s 2016 season, mostly focusing on Jeff, his employees and a few loyal patrons, some of whom travel great distances for the drive-in experience. In fact, one guy drives 6 hours every weekend just to work the concession counter. Since Jeff can’t afford to pay them, everyone works voluntarily, simply because they're movie fans in-love with this archaic venue. Someone on the team keeps eating the profits. Some weekends are better than others. For every horror festival that packs-in the fans, there are rainy nights with only a couple of cars. Still, the show goes on, even if it would be cheaper to cancel the show on those dead nights. Though nothing is said, we get the lingering impression that the Mahoning’s days are numbered and this group – dedicated as they may be - is simply prolonging the inevitable (though as of this writing, I’m happy to report the place is gearing up for its 2019 season). "Hey, guys...what if we tried showing these movies at night?" 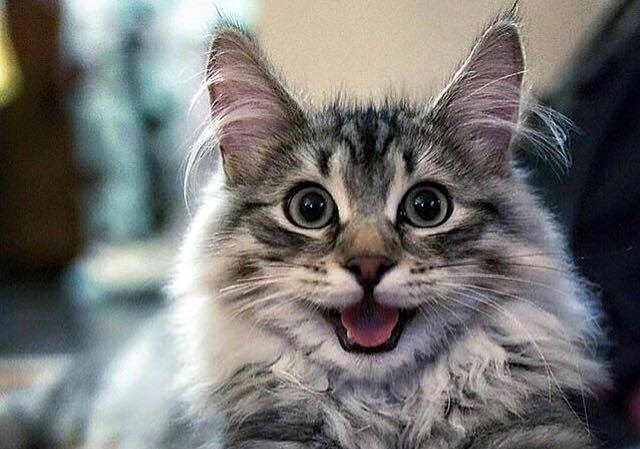 Jeff himself comes across as extremely likable, whose enthusiasm and love of what he does is infectious. Yet despite his outwardly sunny demeanor, it is obvious he longs for the way things used to be, a feeling viewers of a certain age may share. But even though his younger employees & friends receive no paycheck, regularly struggle to keep everything working and camp-out in the storeroom during the off-hours, their sheer joy of simply being there would make any movie fan envious. If I didn’t have a wife & kids, I’d trade places with any of them in a heartbeat.